If Gays Marry, People Will Marry Androids. Also, Star Trek Is REAL. Robert Broadus addressed a Maryland courtroom to testify against SB 166, which would provide marriage equality for the state’s LGBT citizens. And boy, is it a doozy. We can honestly say that we have never before heard such idiotic drivel spoken before in a court room. He invokes STAR TREK as proof that gay people must not be permitted to wed! Except that’s not true. Didn’t he read our exposé on Grolar Bears? Dozens of cross-species combinations are possible, and found in both captivity and the wild. Someone needs to watch Napoleon Dynamite again. Hellooooo, Ligers! 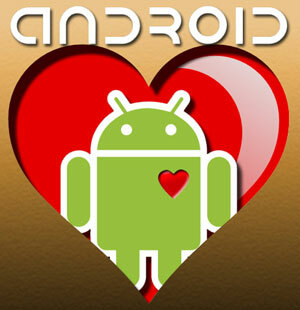 Marry me, Android! Then we'll text and talk free! Proof of the gay agenda - The host of Reading Rainbow and an ANDROID! "You laugh, but it's true." And at that point, my brain explodes from the sheer stupidity being verbalized by this man and I pass out. But much like the Nastyass Honey Badger, I eventually come back to consciousness and resume my writing. Oh. My. God. Honestly, the simplest thing you can do to ensure that marriage equality does in fact become law in Maryland, and every other state, is just go ahead and share this video with your family, friends and loved ones. Post it to Facebook. Tweet the heck out of it. People, this is their argument against us. “People will marry their tear-producing androids.” This is all they’ve got. Because sanity, rationality, and the truth are on our side. And it’s really getting quite hard for bigots and homophobes to argue with that. What do you think of Robert Broadus’ testimony?